Brakelights not good constant knipperen. I must give you some feedback. 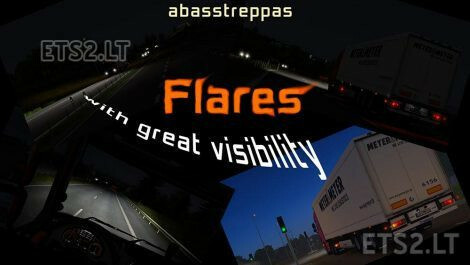 Until ETS2 1.27 your Flare mod was excellent. I can not say the same for your new mod for ETS2 1.28. The visibility of AI vehicles head light are very poor. But the reverse light on my truck are excellent. So, my solution was to put the Common Flare v2.1 above your mod. Then the above mentioned problems was solved, and keeping your good reverse light.